Heeft u een vraag voor Yens Hotel? Voor reizigers die komen voor de bezienswaardigheden van Ho Chi Minh Stad, is Yens Hotel een perfecte keuze. Het hotel ligt slechts 0 km van het stadscentrum: lokale bezienswaardigheden zijn dus snel te bereiken. Voor 'sightseeing' en lokale attracties kan men terecht in de buurt van het hotel, dat nabij SahaBook, Delta Adventure Tours, Mekong Reizen ligt. 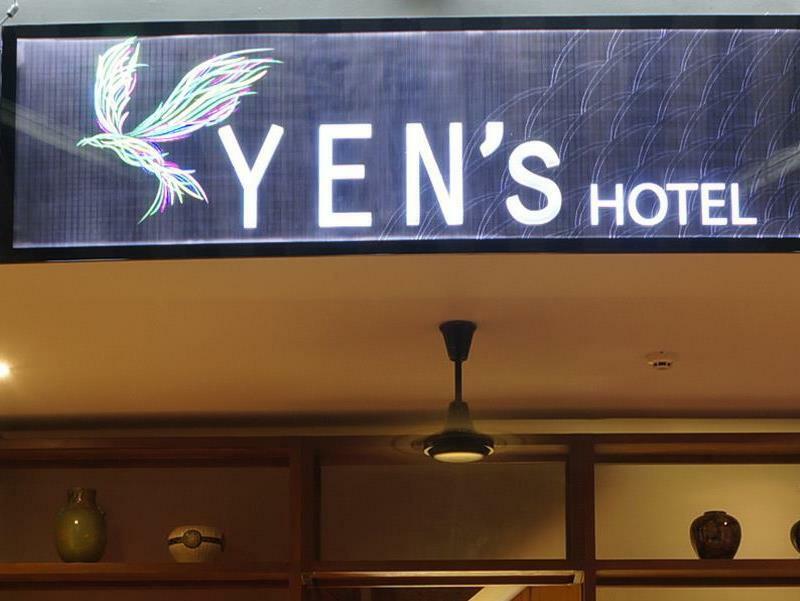 Het Yens Hotel biedt tevens vele faciliteiten om uw verblijf in Ho Chi Minh Stad zo aangenaam mogelijk te maken. 24-uur roomservice, gratis wi-fi in alle kamers, 24-uur receptie, bagageopslag, wi-fi in openbare ruimtes zijn slechts enkele van de faciliteiten waarmee het Yens Hotel zich onderscheidt van andere hotels in stad. Gasten kunnen kiezen uit 12 kamers, stuk voor stuk plezierig en comfortabel ingericht. Daarnaast garanderen de talrijke recreatieve mogelijkheden dat u zich tijdens uw verblijf kunt vermaken in het hotel. Wat de reden van uw bezoek aan Ho Chi Minh Stad ook is, het Yens Hotel is de perfecte keuze voor een enerverende vakantie. Overboekt ! Dus onze vrienden naar een ander hotel vertrokken. Hotel is around the main sights, travel agency, great restaurants and grocery around the corner. Staff very helpful and friendly. You maybe need to walk some stairs, can be noisy, little things to improve in bathroom, also a light next to the bed would be great. In total a great relation between price and performance! 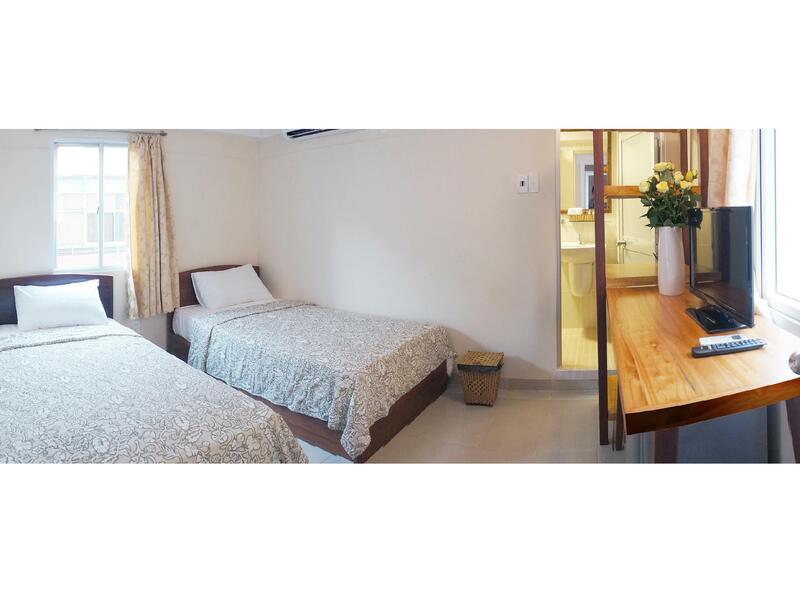 Hotel is 15 mins walk from Benthan Market. Take a cab to locate the hotel for it is situated inside an narrow alley full of restaurant, pub and shops. The only catch here, is the sound of pubs, karaoke and disco noise which could be heard or might disturb you in your sleep if you are not use in Saigon Night life. My room was on the 6th floor and the bathroom on the ground floor - very inconvenient and tiring to have to go up and down 6 flights of stairs everytime you want to go to the toilet. This should be stated in the room description. The room was clean but the toilet wasn't. In fact, it wasn't a guest toilet; it was a staff toilet and it was by a kitchen, which you have to cross to get to the toilet. The bathroom was extremly small and there was no place to leave clothes or anything else so it was very difficult to do anything there. Also, it had no hot water. When I asked about it, the guy at reception told me that the boiler was too old and didn't work and that I had booked the budget room. 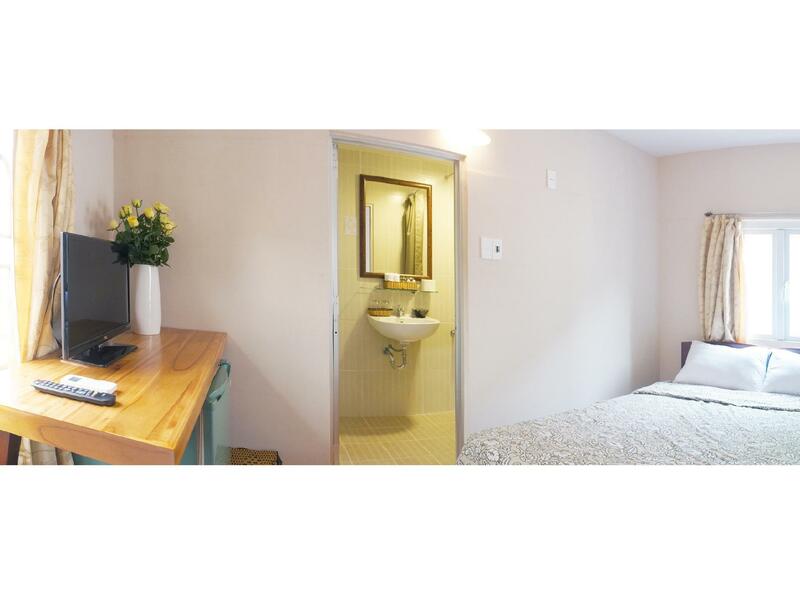 Whatever room you book, it should include a decent bathroom with hot water. Anyway, he was nice and let me check in early. I stayed here for two days with my best friend. The owner is kind enough to accomodate us for we arrived at 2am in the morning. 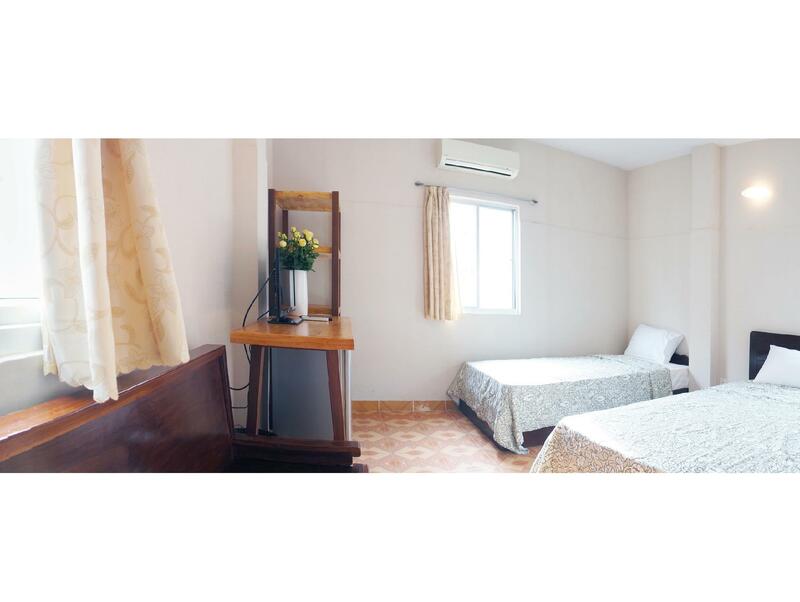 The hotel is located at Phang Ngu Lao District 1 area which is near to almost everything. Our klook agency is just 5 minutes away from the hotel and Mekong express bus boarding point to Cambodia is also a walking distance. The only problem is that they dont have an elevator and our room is at the 5th floor. 😭 Overall, i would still recommend the hotel to all kinds of traveller. We stayed here for 3 nights, although our room was at the 6th floor (no elevator here guys! ), I consider our stay quite pleasant. Our room was kept clean and they fixed the ac which acted up during our first night. This place is near just about everything. It's near Ben Thanh Market then War Remnant's Museum, the post office and Notre Dame are just approx. a km away. Shoutout to "Quen" who accommodated us during our stay. 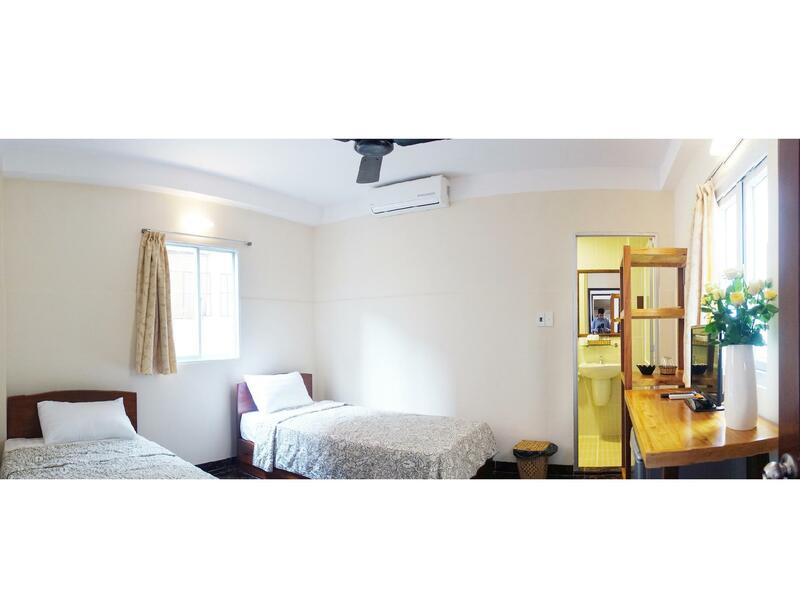 The place is near Ben Tanh Market, and you can easily access nearby restaurants, shops and the backpackers area. My husband and I love our room, quite clean. Especially the free beer the hotel provides when you want to relax. We enjoyed our stay at the hotel. Room was big and bed was comfortable. Staff was friendly. It's a bit noisy during night time due to its close proximity to Pham Ngu Lao street buzzing with night life activities. Breakfast was good. Overall money well spent. The good thing about this hotel is location and good breakfast. The problem with this hotel is they don't have an elevator, when we visit a country, we roam around to make the most of our stay after the long walk, we still have to go up to our room which is in the 5th Floor. Everytime we go down, we make sure that we won't be going down and up again because it's tiring. But the location make it up. So far so good. The pricing is good for what we received. I love the style and hotel's staffs for their responsiveness. 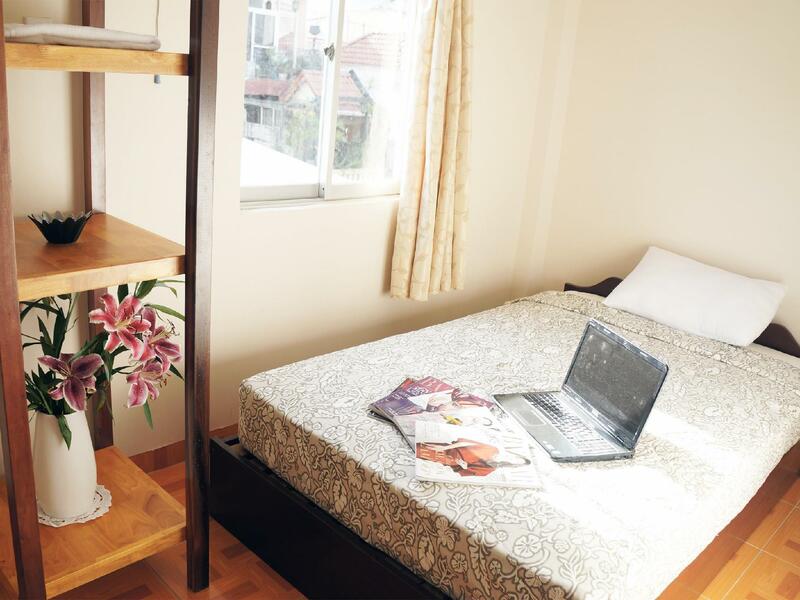 The only 2 points to possibly improve is: the twin-size bed is actually a combining of 2 single beds. It's quite uncomfortable to ... sleep right on the middle accidentally sometimes. Then, the aircon is not that powerful, it takes so long to cool the room. It's nice that they have the ceiling fan, but I'd love having the control of the aircon. I think the fixing up would not be too costly for them but it is important. Nice hotel and feel good we found it! The room is so dimly lit that I thought I was in a dungeon awaiting execution. The room itself also has no desk and chair, so setting-up a laptop to go online was challenging. 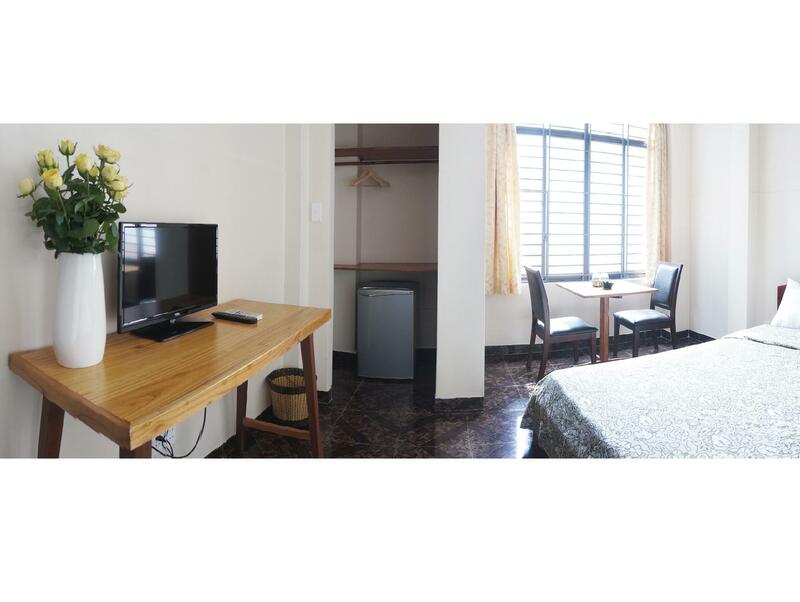 I recommend Yen’s hotel if the traveler will only stay no more than one day. No hot water even open it for a long time. The SuperClass01 room is very dark, the light too dim. Not noisy, not near to the club or bar. The staff is very friendly and kind. He prepared a very delicious breakfast for us on time (as we are rushing to some other place). He is helpful and awesome. I think I got caught out cos when I arrived they told the booking was for a room without a bathroom on the 5th floor and that the bathroom was on ground but I could change to a room with a bathroom for extra, they also asked for an extra 170,000vnd, to check in at 9 instead of 2. I agreed cos I had an appointment & needed to charge devices. So instead of 550,000 I ended up paying 970,000 for 2 nights. I checked out after that and found a much better room for the same price. When they asked me why I was changing hotels, I told them 5 flights or stairs get very tiring. They said “you can move to a lower floor”, I said too late, you should’ve offered me that earlier. Stayed here for a week, it's in a good location if you're looking to get amongst the touristy area. The highlight of the stay was the friendly staff members at the front desk :)!